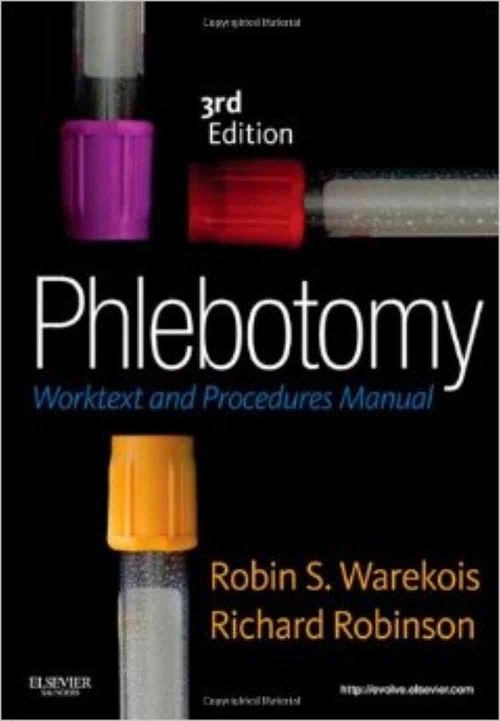 Phlebotomy: Worktext and Procedures Manual, 4th Edition, was written specifically for phlebotomists as well as for any healthcare professional involved with the collection of blood samples and other non-blood related samples for laboratory analysis. This excellent text is especially useful to those who are just entering the field of phlebotomy, but will be of value to those who have been active in the field for many years. Subjects covered include: Introduction to Phlebotomy; Infection Control; Venipuncture Equipment; Venipuncture Complications; Blood Collection in Special Populations; and Point-of-Care Testing.